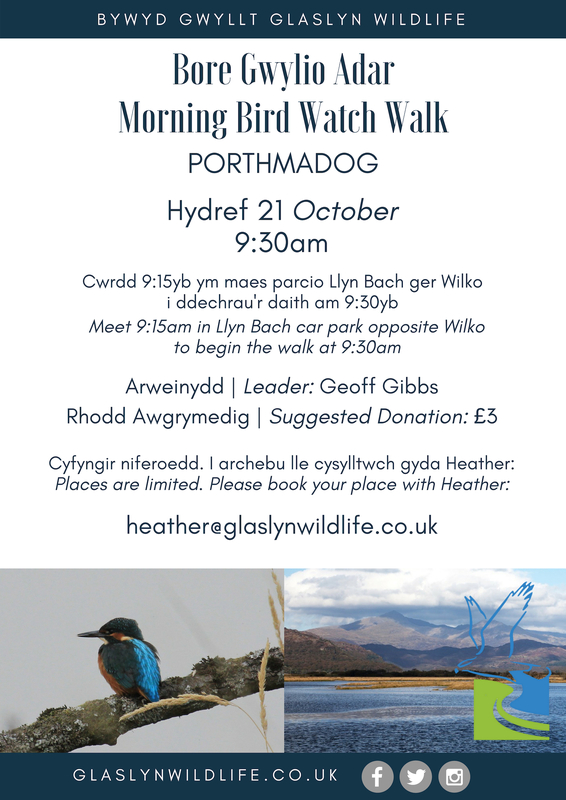 Join us on a Bird Watch Walk in Porthmadog on Sunday 21 October! Meeting in Llyn Bach car park at 9:15am, opposite Wilko. The walk will visit Llyn Bach and the Cob with its large variety of gulls, waders, and wildfowl. There is also the possibility of seeing a kingfisher. The duration of the walk will be around two to three hours. Please bring binoculars and appropriate clothing. We look forward to seeing you!